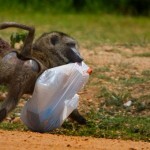 For some opportunistic baboons in Uganda, there is such a thing as a free lunch. 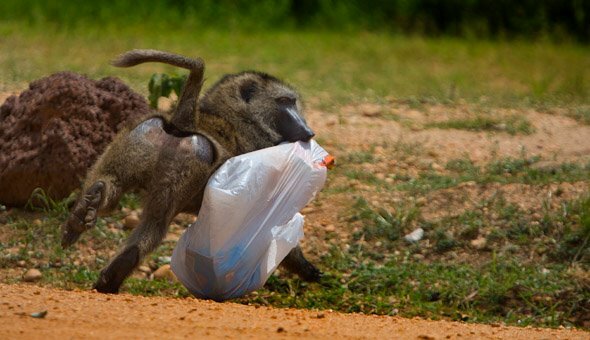 Or a lunch snatched from the window of a van while its passengers waited for a ferry to cross the Nile in the Murchison Falls Game Park. humans, as cars, trucks and buses line up for a ferry across the Nile in Murchison Falls National Park. The baboon is very adaptable, according to the Primate Info Net of the University of Wisconsin. Baboons live in troops made up of several males and females. 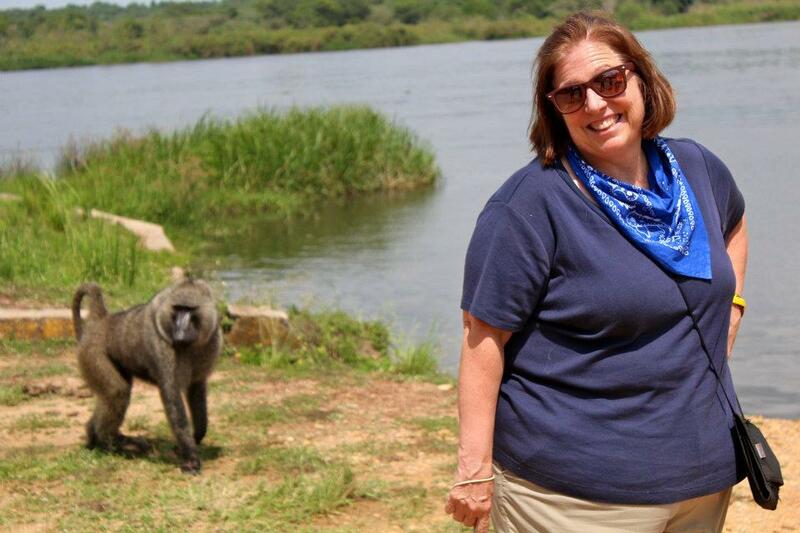 The female mother will carry the infant baboon underneath her for several months, then the infant will ride jockey-style on her back for up to 10 to 12 months.